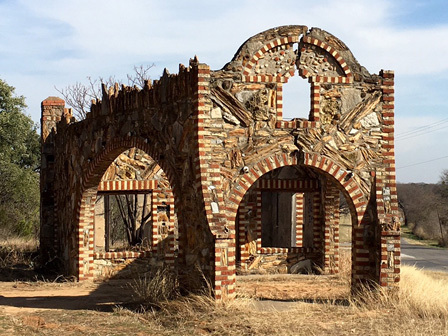 The early and mid-20th century construction of gas stations has left a legacy of distinctive yet modest roadside architecture throughout Texas. Changing demographics, economics and transportation needs have resulted in the closure and demolition of many early examples of this building type, and too many are abandoned or poorly maintained eyesores. Fortunately, because of their prominent locations, durable construction and modest scale, historic gas stations are ideal for adaptive use. Successful examples across Texas include conversions ranging from coffee shops and restaurants to visitor centers and roadside museums. The Texas Department of Transportation recently updated A Field Guide to Gas Stations in Texas (2016), originally published in 2003. The field guide discusses architectural styles, tools for assessing integrity and approaches to National Register designation of historic gas stations. Historic designation opens up the possibility of state and federal tax credits as incentives to their rehabilitation and adaptive use. The National Park Service’s Preservation Brief 46: The Preservation and Reuse of Historic Gas Stations provides guidance on maintenance, repair and rehabilitation standards that meet the Secretary of the Interior’s Standards. At the local level, the San Antonio Conservation Society and City of San Antonio have completed a survey of historic gas stations and supported local historic designation for many of them. The Texas Historical Commission’s recent historic resource surveys of the Bankhead Highway and the Meridian Highway include documentation of gas stations along those important roads. One of the major obstacles to the adaptive use of historic gas stations is the cost of mitigating the environmental damage resulting from the long-term impacts of the presence of petroleum products, chemicals and rusting below-ground tanks. The reinstatement of a grant program to provide state funding in support site mitigation would encourage new investments in these historic places.